Brandon Kintzler has been performing under pressure since a young age. 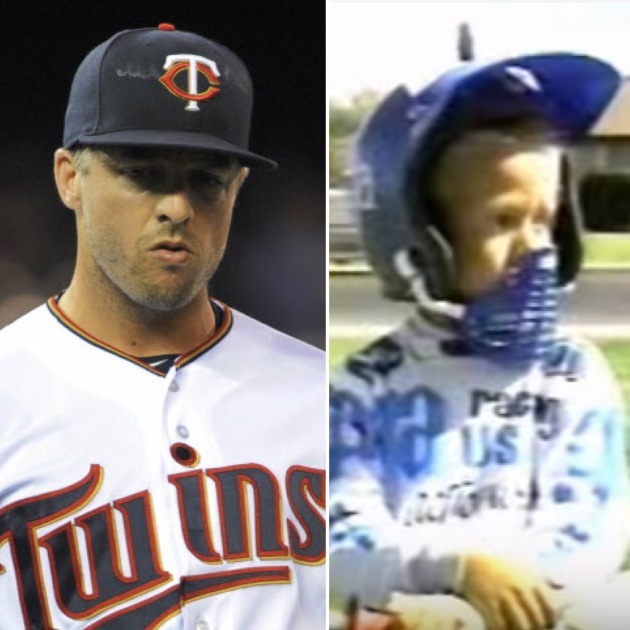 Now a major league pitcher closing games for the Twins with his 93-plus mph fastball, at age 4 Kintzler was performing daring bicycle jumps and racing alongside much older competition. These daring acts got the attention of the local media in Las Vegas and a broadcaster named Colin Cowherd, maybe you’ve heard of him. Cowherd, now the host of The Herd with Colin Cowherd on Fox Sports 1 and Fox Sports Radio, started his career in Las Vegas and eventually found his way to ESPN hosting the popular show SportsNation. In August 2015 he joined the Fox Sports family. Kintzler picked up his 14th save for the Twins in Wednesday night’s 6-5 victory over Kansas City. He made 15 relief appearances after being called up in early May before earning his first save opportunity on June 8. The righthander picked up saves in each of his first eight chances and entered September with a 1.83 ERA. Kintzler has given up seven runs in his last three outings bumping his ERA to 3.04, but only has two blown saves in 16 chances. He continues to be one of the more consistent arms on the Twins pitching staff over the past four months.